To remain competitive in electrical contracting you need fingertip control over time and costs. Ensign supplies four types of highly portable software solutions to support you, and provides you with accurate control and accounting to win and run all contracts: PDF on-screen take-offs, estimating, quantity surveying and contract costing. This highly integrated suite of software can record and calculate all aspects of your work, with automated measuring and monitoring functions to save you from contract headaches. It comes with support and training, to ensure it’s bespoke to your requirements and can be used “on the job” from day one. To ensure accurate and cost effective measurements, electrical contractors are increasingly using on-screen take-off. 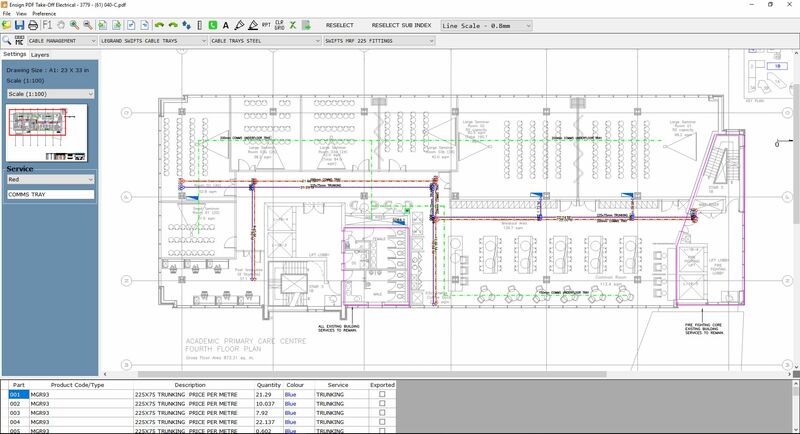 It can help you to quantify jobs of all types and sizes, including taking off cable, containment, lighting, general wiring accessories and more from your electronic PDF drawings. Efficient and time—saving, it enables you to maximise profitability, not least as data can be transferred seamlessly to Ensign’s Estimating Software or Excel. Paperless and connected to email, you can calculate and control jobs with ease. This affordable but powerful software supports you in winning contracts, providing simple to use but comprehensive costing calculations. Whether it’s commercial or industrial electrical work you’re quoting for, the software uses real-time price updates and average labour norms to produce up-to-the-minute quotes. 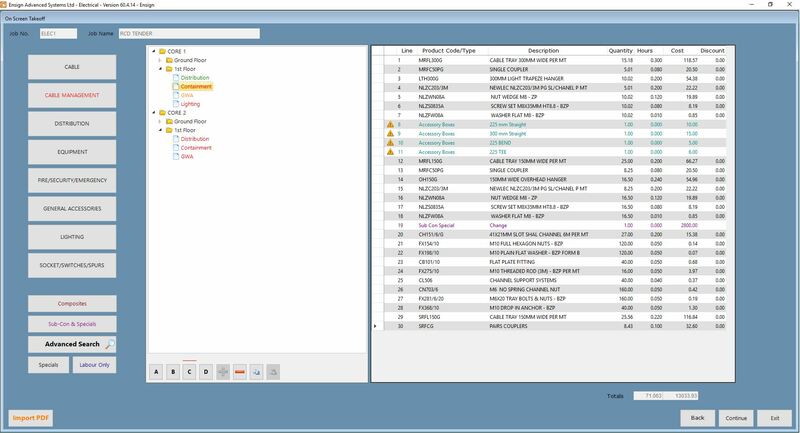 It generates detailed reports showing your prices on materials, and budgets effectively and accurately for labour costs. Designed to be user-friendly and easily understood by those unfamiliar with the technology, Ensign’s electrical estimating software means accurate bills can be created based on carefully controlled costing. This specially designed software ensures that your applications for payment are based on transparent and accountable reports, capturing all the relevant details to reassure clients. This means they are far more likely to pay promptly, and in full. Ensign’s software for Electrical Quantity Surveying and Estimating integrate seamlessly, to guarantee consistency and show tangible professionalism in variation calculations. This means less headaches for you and greater peace of mind for your clients. Controlling costs is vital and Ensign’s Electrical Contract Costing system couldn’t be simpler to use. All outgoings are efficiently and consistently quantified and logged, making it easier for you to manage on-site problems and control contract budgets. It also tracks clients in a way that provides insights in to job profitability, enabling you to tender only for the most profitable electrical jobs. At a glance reports show on site costs and progress on one page, meaning you can constantly check electrical projects are coming in on time and on budget. 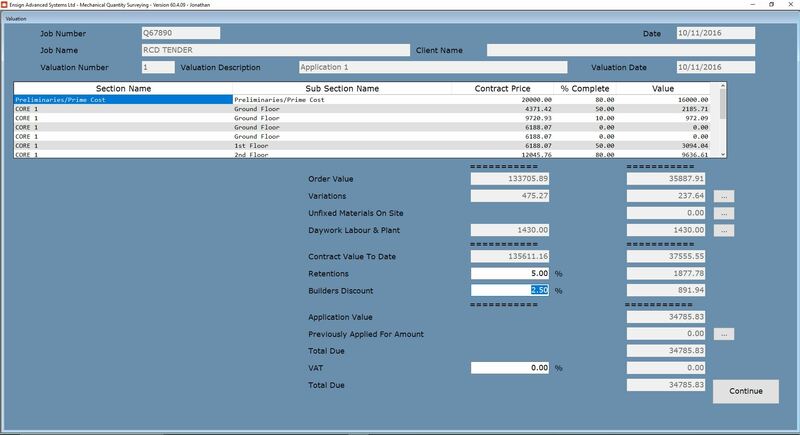 Bringing together labour, materials and sub-contract costs in one place couldn’t be easier than with QuickCost.